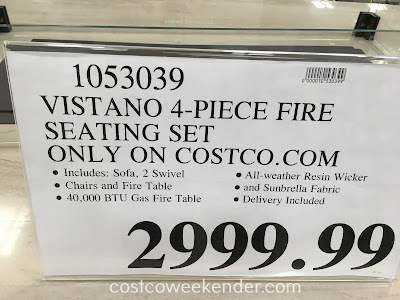 When I first saw the Vistano 4-piece Fire Seating Set at Costco, I was shocked by the price. I must admit though that it is very cool. 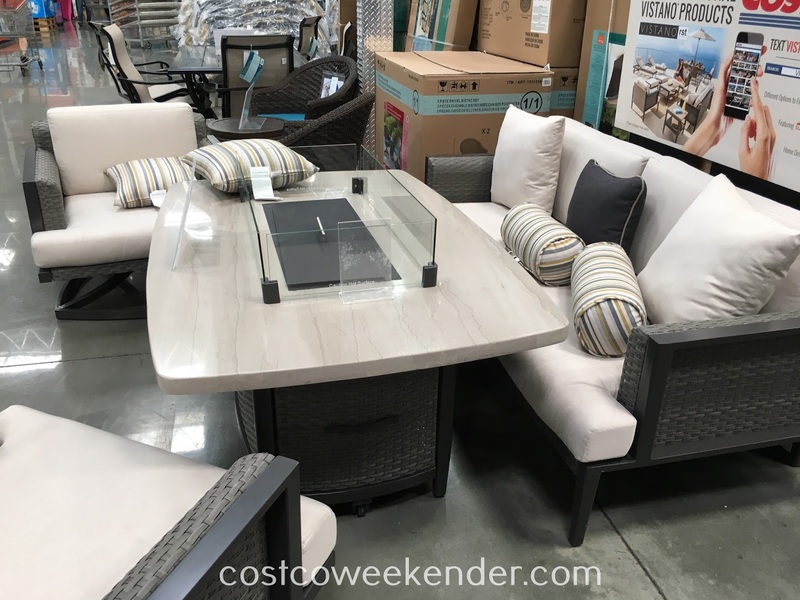 Not only does it give you some outside seating for your patio or backyard, but it also includes a fire table. Now how cool is that? That way spending time outside doesn't have to necessarily be a spring or summer event since the fire table can keep you warm. Now you'll be able to gather outside even on cool afternoons or evenings. The fire just gives your gathering a more "homey" and comfortable ambiance. The fire table even gives you enough space to place plates of food on, so that you can have a comfortable spot to eat appetizers or a meal. 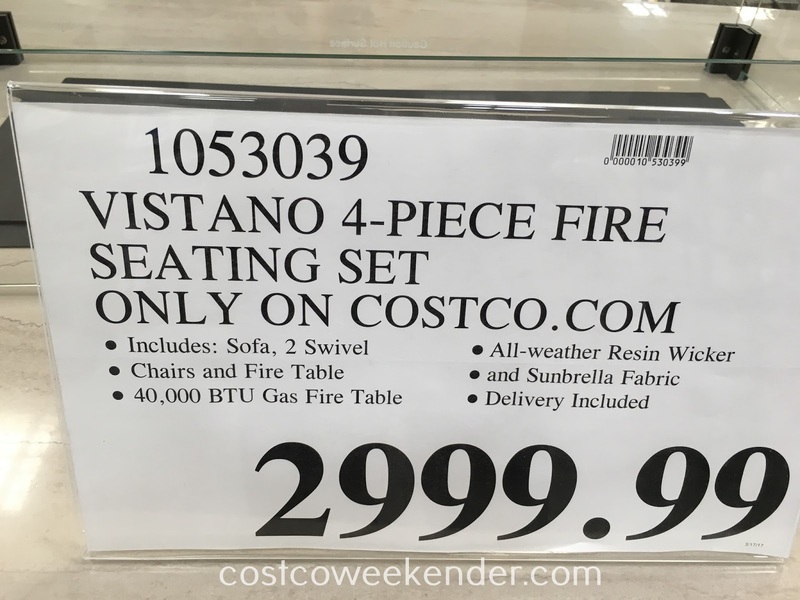 The Vistano 4-piece Fire Seating Set is a great addition to any backyard or patio that you won't regret.